Music makes everything better. Spread a little merry on towels, linens, and pockets on your projects for music lovers! 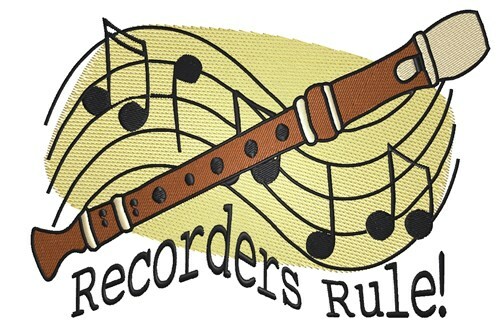 King Graphics is happy to present Recorders Rule machine embroidery design which has 21410 stitches and is [152.40 mm x 101.60 mm] large. If you would like to view more embroidery patterns please search on our embroidery designs page.